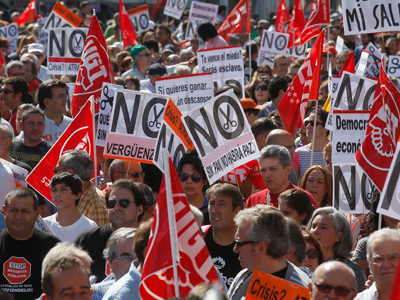 Spanish labor unions have threatened a national strike unless the country’s right-wing government cancels announced austerity cuts, in the wake of a second day of national mass protests. Some 60,000 demonstrators flooded the center of Madrid, during the biggest of more than 50 union-backed protests across the country. 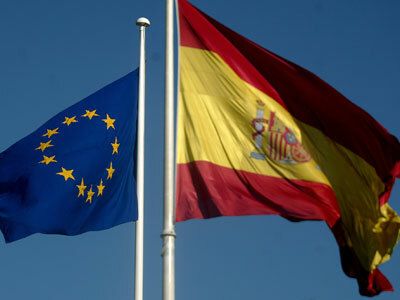 Prime Minister Mariano Rajoy recently announced that the government would be undertaking an extra 13 billion euros of cuts in 2013. 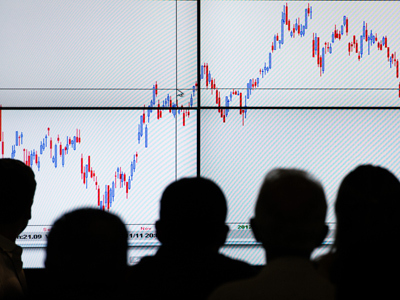 In total, it plans to trim 150 billion euros from its budget over the next three years. 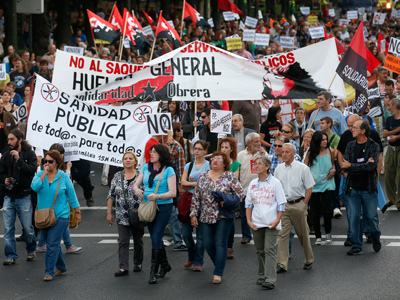 In response to the latest austerity measures, union leaders have mooted a potential general strike in November. "It's up to the government whether there's a general strike or not. If they were going to hold a referendum things would be completely different," said Ignacio Fernandez Toxo, head of Comisiones Obreras, the country’s biggest union. 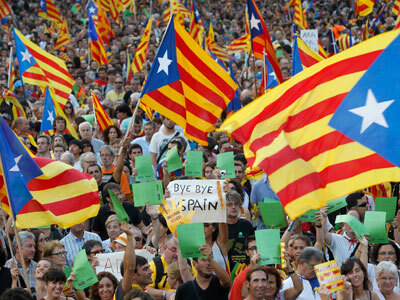 A survey published on Sunday showed that 77 percent of Spaniards support the protests. More are expected as the country gears up for a series of regional elections in Catalonia, Galicia and the Basque country. The crisis has exposed rising tensions between the belt-tightening central government and highly-autonomous regions which have been slow to abandon their spending promises. Many have threatened to break away altogether. The economic situation remains dire. One in four remains unemployed, a higher proportion than in Greece and the worst figure in the industrialized world. GDP is expected to shrink by 1.5 percent at the end of the year and to remain negative in 2013. The country needs to cut its deficit to secure more financial assistance from the EU. So far, they have failed to reach the set targets. Last year, the deficit was 9.4 percent instead of the promised 6.0, and this year the budget will be at least 7.3 in the red, instead of the planned 6.3. But while the abstract targets appear out of reach, the social impact of cuts is palpable. “They are taking away the health system. They are taking away our basic rights and that’s not fair. They are reclaiming almost all social benefits. 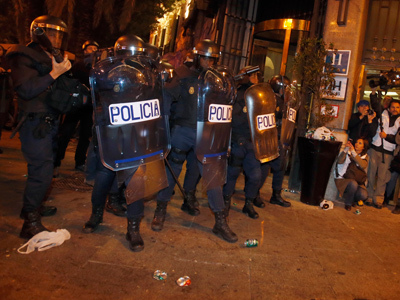 It’s shameful that we are losing everything,” demonstrator Carmen Lopez told Euronews.